Optimal Brain Health – What and How? 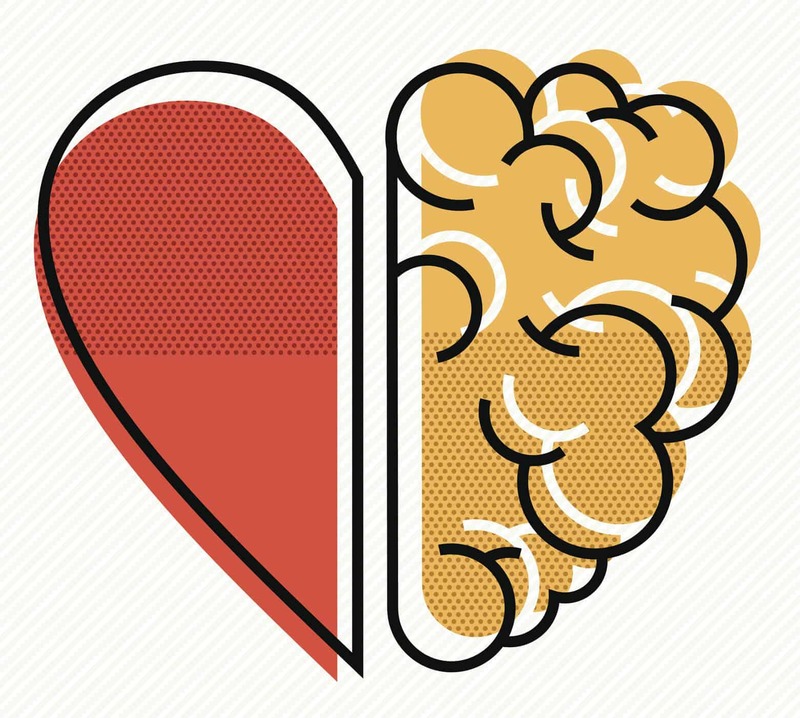 While most providers were educated with an understanding of mind and body connections, greater understanding of the more specific heart and brain connections are emerging. Considered one of our nation’s greatest health priorities, optimal brain health is a new health goal. A recent President Advisory Statement from the American Heart Association (AHA) has defined optimal brain health in adults, underscoring that optimal cardiovascular health is the most important physical, modifiable, and measurable contribution to a healthy brain.1 As the organ with the highest metabolic demand in the body, the brain relies on the heart and cerebrovasculature to deliver essential glucose and oxygen underlying this high metabolic rate – thus cardiovascular health is critical to optimal brain health. These authors connect this premise to the important work of preventive cardiovascular nurses. First, the aging of our society and societies throughout the world and the accompanying age-related cardiovascular decline contributes to reduced or poor brain health, which in turn has a large and growing impact on our society. The startling estimates of the number of persons with dementia worldwide are around 47 million persons, and it is expected that this will increase to 75 million in 2030 and 131 million by 2050.2 The need for focused attention to brain health has never been greater. Second, metrics for brain health were identified, and these are congruent with optimal cardiovascular health, which is guided by clear metrics in individuals and the population. For example, using tools such as the AHA’s Life’s Simple 7, 3 cardiovascular nurses have measures of and direction to maximize cardiovascular health across the lifespan. These include four health-related behaviors (non-smoking status; physical activity at goal levels; body mass index <25 kg/m2; and healthy diet consistent with current guidelines) and three health factors (untreated blood pressure <120/<80 mm Hg; untreated total cholesterol <200 mg/dL; and fasting blood glucose <100 mg/dl). The same metrics were selected for optimal brain health. Achieving and modifying these factors essentially promotes brain health. Third, the loss of brain health can also be clearly measured through stroke and dementia as primary outcomes associated with loss of cardiovascular health. Secondary outcomes and heralds of declining brain health are conditions of transient ischemic attack and mild cognitive impairment. Further metrics can be obtained from brain imaging to identify other biological and pathophysiological pathways connecting cardiovascular and brain health. Optimal brain health can theoretically be defined as an optimal capacity to function adaptively in the environment. In addition to the metrics listed above, assessment of competencies across the domains of thinking, moving, and feeling include: 1) paying attention, perceiving and recognizing sensory input; 2) learning and remembering; 3) communicating; 4) problem-solving and making decisions; 5) having mobility; and 6) regulating emotional status. (1). Problems in these areas, as well as changes in sleep, continence and appetite, may reflect changes in brain health. As PCNA members and preventive cardiovascular nurses provide care to improve cardiovascular health and reduce risk, their efforts will ultimately contribute to optimal brain health. 1. Gorelick PB, Furie KL, Iadecola C, Smith EE, Waddy SP, Lloyd-Jones DM, Bae H-J, Bauman MA, Dichgans M, Duncan PW, Girgus M, Howard VJ, Lazar RM, Seshadri S, Testai FD, van Gaal S, Yaffe K, Wasiak H, Zerna C; on behalf of the American Heart Association/American Stroke Association. Defining optimal brain health in adults: a presidential advisory from the American Heart Association/American Stroke Association [published online ahead of print September 7, 2017]. Stroke. doi: 10.1161/STR.0000000000000148. 2. Winblad B, Amouyel P, Andrieu S, Ballard C, Brayne C, Brodaty H, Cedazo-Minguez A, Dubois B, Edvardsson D, Feldman H, Fratiglioni L, Frisoni GB, Gauthier S, Georges J, Graff C, Iqbal K, Jessen F, Johansson G, Jönsson L, Kivipelto M, Knapp M, Mangialasche F, Melis R,Nordberg A, Rikkert MO, Qiu C, Sakmar TP, Scheltens P, Schneider LS, Sperling R, Tjernberg LO, Waldemar, Wimo A, Zetterberg H. Defeating Alzheimer’s disease and other dementias: a priority for European science and society. Lancet Neurol. 2016;15:455–532. doi: 10.1016/S1474-4422(16)00062-4. Lloyd-Jones DM, Hong Y, Labarthe D, Mozaffarian D, Appel LJ, Van Horn L, Greenlund K, Daniels S, Nichol G, Tomaselli GF, Arnett DK, Fonarow GC, Ho PM, Lauer MS, Masoudi FA, Robertson RM, Roger V, Schwamm LH, Sorlie P, Yancy CW, Rosamond WD, American Heart Association Strategic Planning Task Force and Statistics Committee. Defining and setting national goals for cardiovascular health promotion and disease reduction: the American Heart Association’s strategic Impact Goal through 2020 and beyond. Circulation. 2010; 121:586-613.